Fresh from a recent long service award, celebrating an incredible 55 years as a Suzuki dealer, Crescent is delighted to welcome customers to the special event, as Suzuki moves back to the location that it was first represented in. Joining the celebrations over the weekend will be ex-British Superbike champion, John Reynolds, a name not unfamiliar with Crescent as a rider that clinched the British Championship for Suzuki and the Crescent team in 2004. Alongside Reynolds will be another ex-Crescent star, James Haydon - a former teammate to the 2004 champion - who raced for the Crescent squad and now works as a TV racing pundit. As well as welcoming Reynolds and Haydon to the open day, the Bournemouth showroom will also play host to some iconic race bikes, including British and World Superbike machines piloted by Reynolds, Tom Sykes, and Alex Lowes. Throughout the day visitors can view the very latest line-up of Suzukis, book test rides, have a suspension set-up and benefit from a free bike health check. Customers can also enter a competition to win three pairs of British Superbike Championship tickets too. 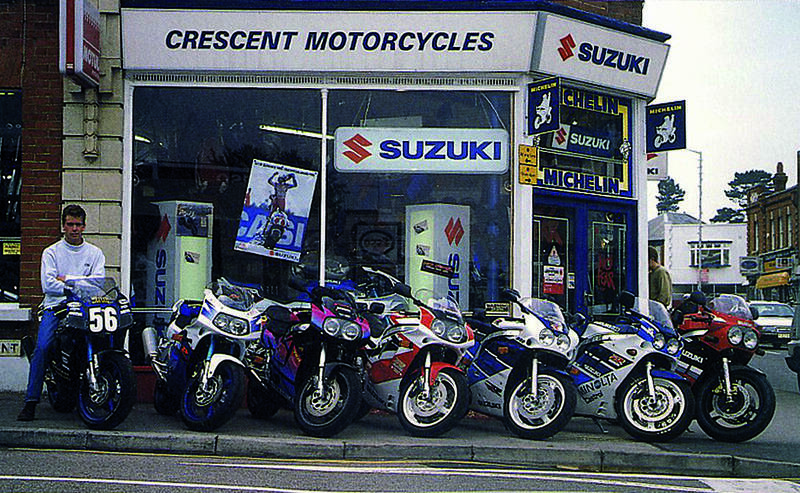 Crescent Motorcycle Company can be found at 324 - 326 Charminster Road, Charminster, Bournemouth, Dorset, BH8 9RT, Tel: 01202 512923.